Applying a force to a hole in Simulation will give a uniform load to all locations on the hole. In reality most loading conditions would only apply to the lower half of the hole. The load would start at zero on the side and then grow to the largest amplitude at the bottom of the hole. If you are concerned of stresses in the hole region specifically, the Bearing Load feature should be considered. The Bearing Load requires a Coordinate System where the Z-axis runs axially through the hole. The X or Y direction needs to be defined as the direction of the load. You also have an option of Sinusoidal or Parabolic distribution. Reviewing the results, you’ll see how the different loading conditions affect the results. In this scenario, the Bearing Load has been applied to the entire hole face. The load is only applied to the lower half of the hole, the area below the Coordinate System. If only a portion of the hole is selected, the area located in the same bottom half is used. The SOLIDWORKS Help section on Bearing Loads provides a good illustration of how this applies. 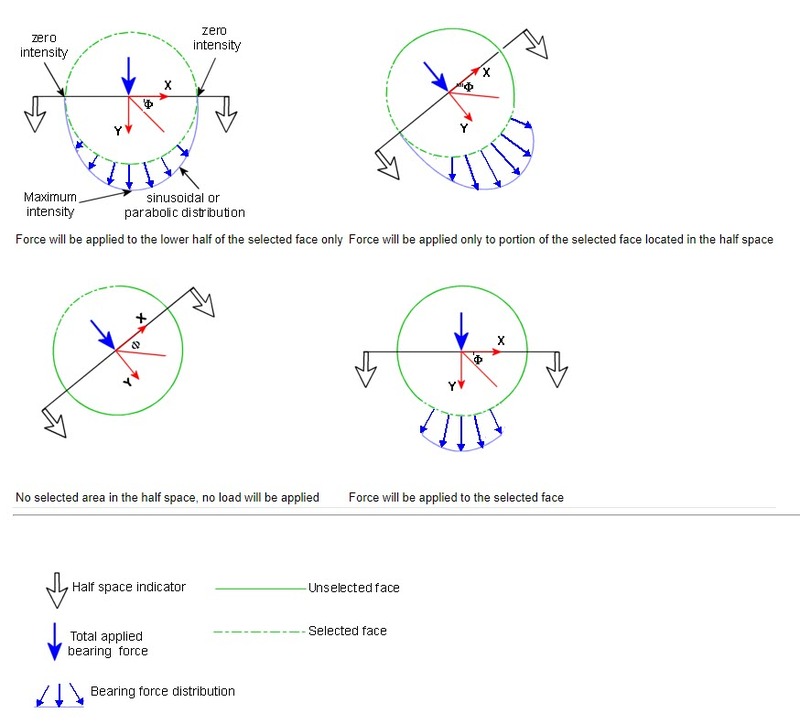 The difference between Sinusoidal and Parabolic distributions is explained in the Bearing Load Distribution section of SOLIDWORKS Help.